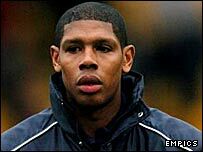 Carlton Palmer resigned as Mansfield manager after his side lost 2-0 at Rochdale on Saturday. The former England midfielder has seen his team slip to third from bottom of League Two, with only six points from their first nine matches. Palmer's assistant Peter Shirtliff will take charge until the club appoints a new boss. "I have had a good career and I don't need to take the abuse from the crowd," Palmer told the club's website. "Keith Haslam, the Mansfield chairman, is a good mate of mine and I want to keep it that way so I will be stepping down as manager. "I have told the players and Peter Shirtliff and will be formally speaking to the chairman. "They are a great set of lads and I wish them all the best. I will take a holiday now and take stock of things."